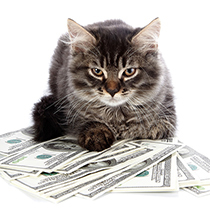 Scottsdale’s own Symmetry Software is winning the content game this week with its Buzzfeed piece ‘Eight Cats Who Just Got Their First Paycheck.’ Just in time for tax season, these cats are here to tell us that not knowing the parts of your paycheck can be a cat-astrophe. Don’t be like these cats – visit Symmetry Software’s PaycheckCity.com today to learn the in’s and out’s of your pay stub and even model one today. Symmetry Software specializes in payroll-related software applications. These products – the Symmetry Tax Engine, Payroll Point, Symmetry Payroll Forms, Calculators by Symmetry and PaycheckCity.com – simplify the payroll process from start to finish.